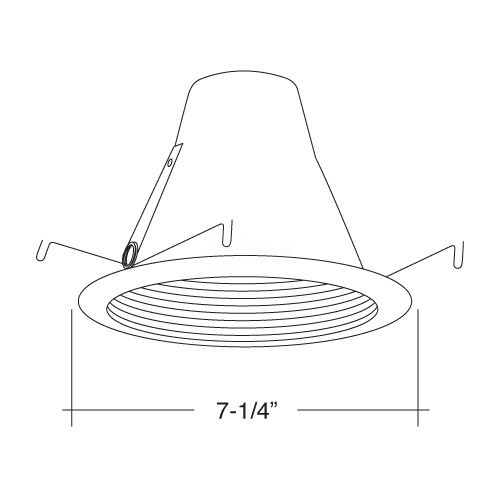 6" Recessed lighting air tight LED compatible baffle trim with white baffle and white trim for use with Par 30, A-style or R30 light bulbs in 6" line voltage recessed lighting housings. 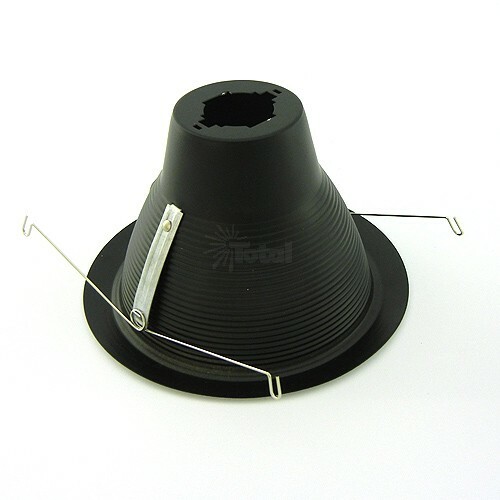 Trim attached to your socket in your housing, so it is considered a socket supporting trim. 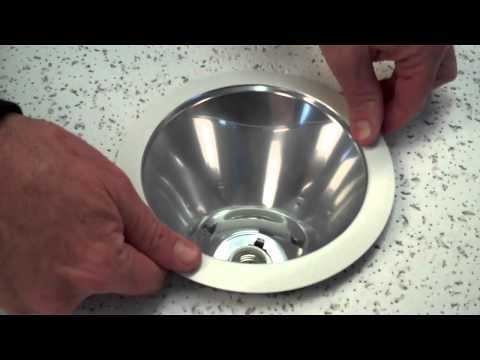 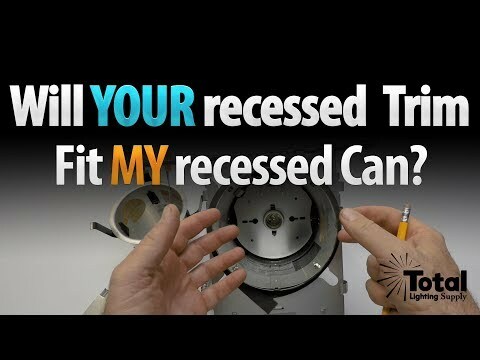 If your socket is attached to a plate in the housing see our video on how to remove the plate and attach this trim to the socket and the housing. 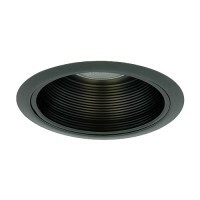 Trim comes with a socket gasket but not a gasket between the trim and the ceiling as it is made to mount tight against the ceiling. 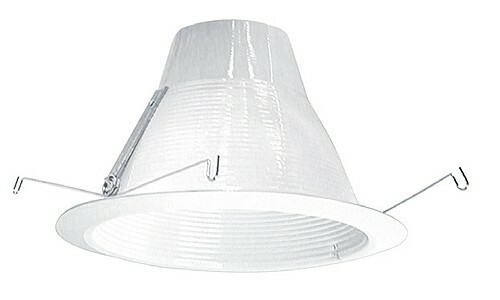 If you have a popcorn ceiling then a gasket may be employed. 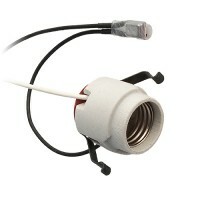 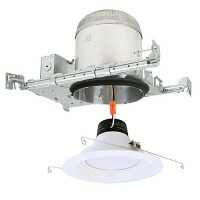 See our gaskets in our parts section for recessed lighting. Will also work with Lithonia L7X housings. 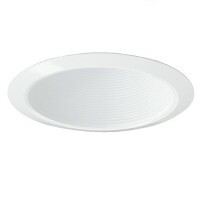 DO NOT use with Halo shallow 6" fixtures. 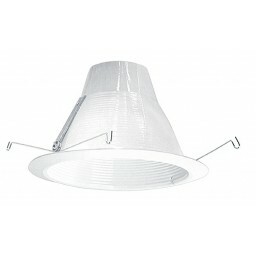 6" line voltage housings and trims can be perfect in kitchen ceilings, hallways, offices and any where were a versatile down light can is required. 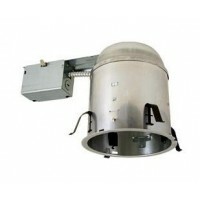 A great fixture/housing lamp combination where a budget needs to be meet. 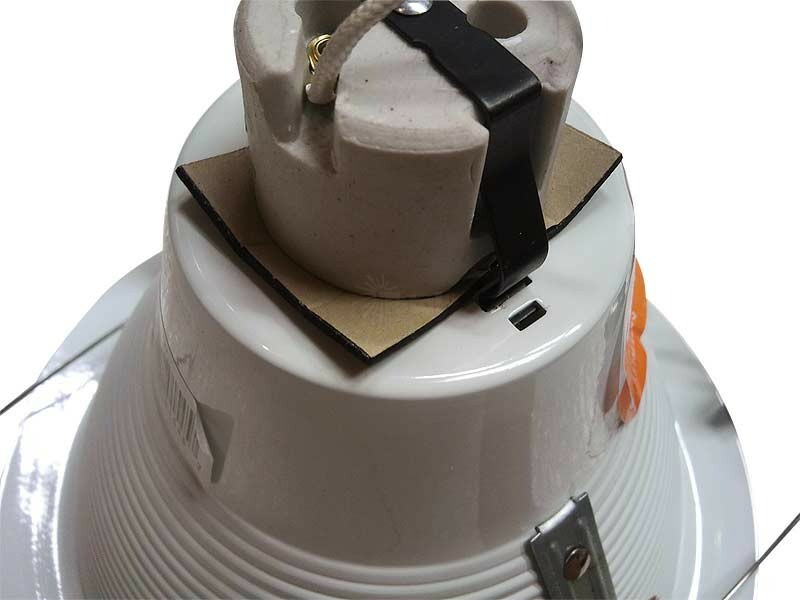 Trim works fine with the Juno IC23W housing as this housing has the tabs to accept the springs on this trim and the Juno free floating socket will attach to the top of the trim.